Seattle, it’s time to mark your calendars! 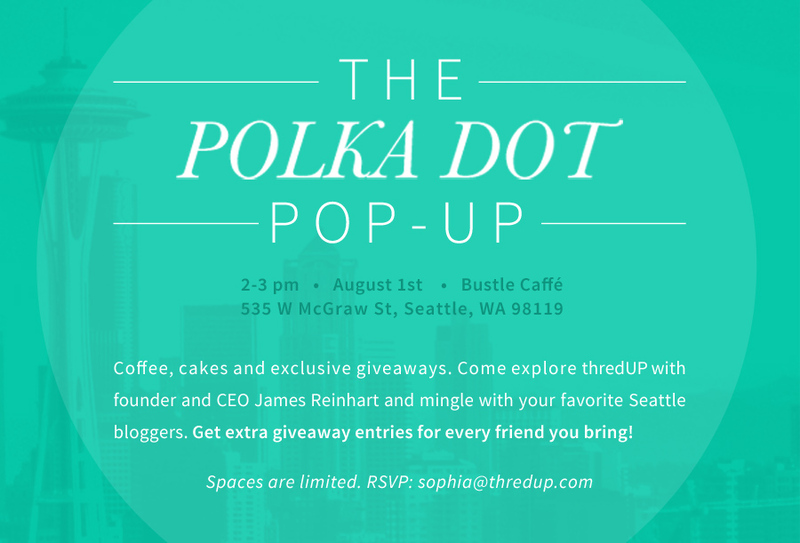 The Polka Dot Pop-UP is coming to the Emerald City on August 1st 2013! Join us in Upper Queen Anne to explore thredUP with founder and CEO James Reinhart and some of your favorite local bloggers. Share you thoughts about back-to-school shopping and Seattle secrets as we bring the mobile thredUP experience to you. Enjoy cakes and coffee by the local Bustle Caffé and don’t forget to bring your friends (and smartphones) for an extra chance at exclusive giveaways! The coffee is hot and spaces are limited, so e-mail sophia@thredup.com to get on the list.